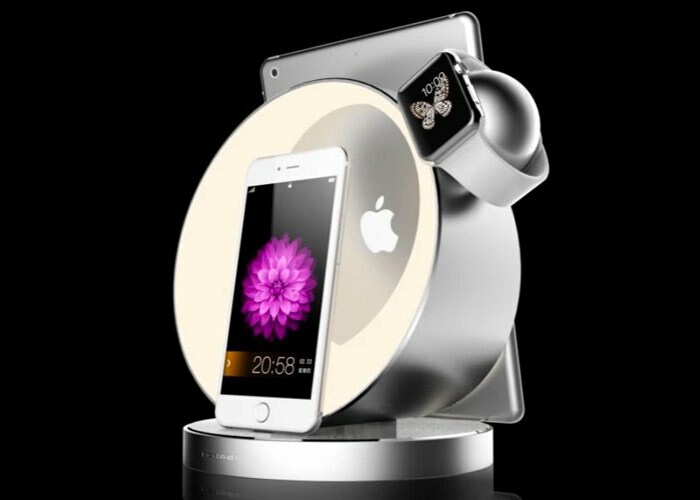 dodock have unveiled a new multi device docking station they have created, which has been designed specifically for Apple products including the Watch, iPhone and iPad, but is also capable of accepting the Pebble Watch and also providing a smartphone dock for other mobile manufacturers. The multifunctional smartphone dock has taken to Kickstarter this week to raise the $10,000 it requires to go into production, and provides a USB charger and is USB-C compatible, watch the video below to learn more about its design and inspiration. Digital devices become breath of life nowadays, mobile phone, ipad, smart watch, any of them needs charging. Having to charge multiple devices frequently, wires coiled and cluttered everywhere on the night stand get us easily annoyed. So we build dodock. Our designers use minimalist stream lines to interpret the essence of beauty. Giving double pleasure of vision and user experience inside and outside, dodock delivers “sense and simplicity” in every bit we make and do. Custom-made charging ear for Apple watch. LED warm light and exchangeable charging stations, going with apple connector and USB-C connector. Charging stations – to charge various devices: IOS and Android. Support 4 devices simultaneous charging based on user demand. Exchangeable charging stations – going with ios connector and USB-C connector. The bottom charging structure use original device cables to be winded inside, magnetic snap-on cap to hide the cables and exchangeable connectors to support apple and usb-c; 2 usb changing ports to support any device charging without affecting normal use. For more information on the new dodock smartphone dock jump over to the Kickstarter website for details and to make a pledge to be one of the very first to own this multifunctional charging station.